A year on from when the Battery Charging Systems division of Fronius International launched the Ri charging process, the company has now unveiled another development in the form of complete charging systems. 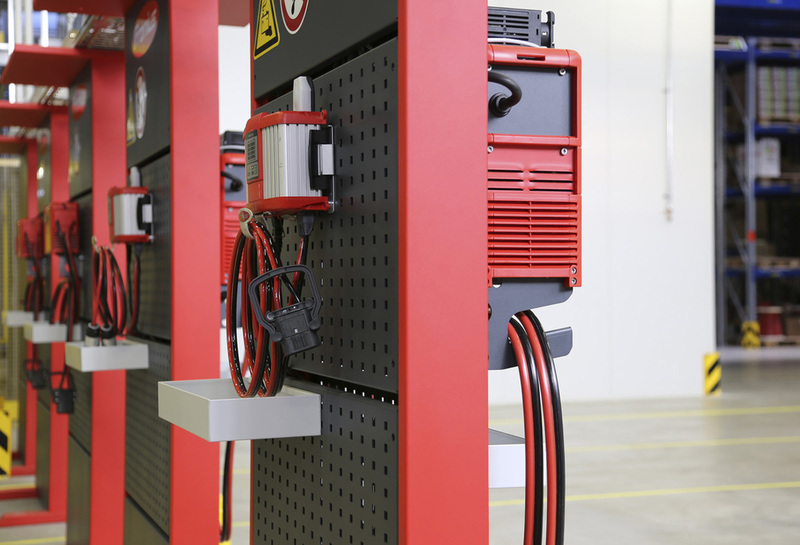 This move represents the company's first major step away from being just a component supplier to becoming a provider of complete systems for the charging of traction batteries in forklift trucks. 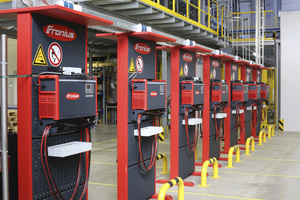 Following an extensive planning and development phase, Fronius constructed and implemented the first systems, including battery charging rooms, battery charging stations/individual charging points and the electrical equipment required for charging. 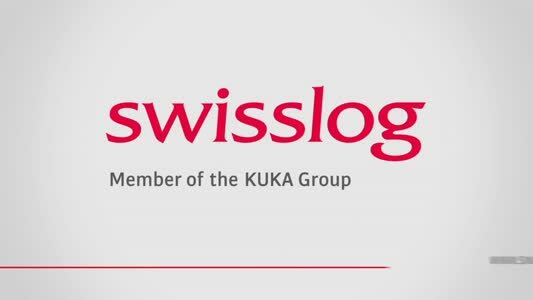 The hazards inherent in using these systems - the high charging currents, the release of potentially explosive gases during battery charging, the handling of chemicals and the usually unattended operation - meant that compliance with the latest standards and guidelines was extremely important. 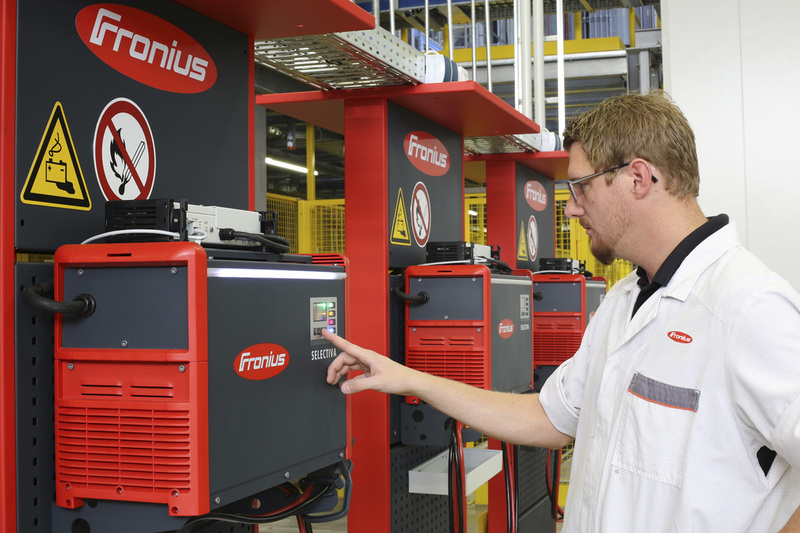 The new Fronius system concept addresses these hazards and ensures safe charging. 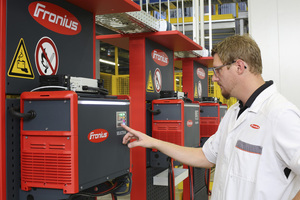 Fronius will, if required, supply battery charging systems with different modules. 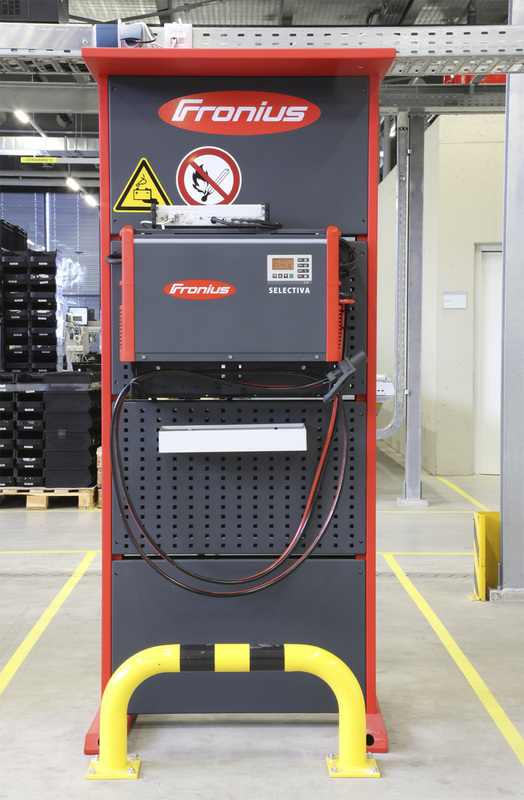 The standardised 2000 charging module (W x H x D = 886 x 2033 x 650 mm) can accommodate one or more Fronius battery charging systems. 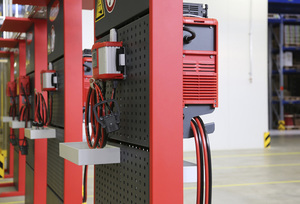 However, other high frequency battery charging systems can also be mounted on the standard vertically perforated plate. Where space permits, both sides of the modules can be used, helping to save space.